When purchasing a Windows 10 machine for the first time, it can be very exciting to see all the new features the OS has to offer. Windows changed a lot with the jump to 10, and even those who have decent experience with previous Windows versions may find it hard to navigate the new iteration of the operating system. Probably one of the first things you want to do with a new operating system is learn how to change it to better suit your needs. Windows 10 is set up to work perfectly “out of the box,” but there are a myriad of options and settings you can use to make the Windows 10 experience your own. 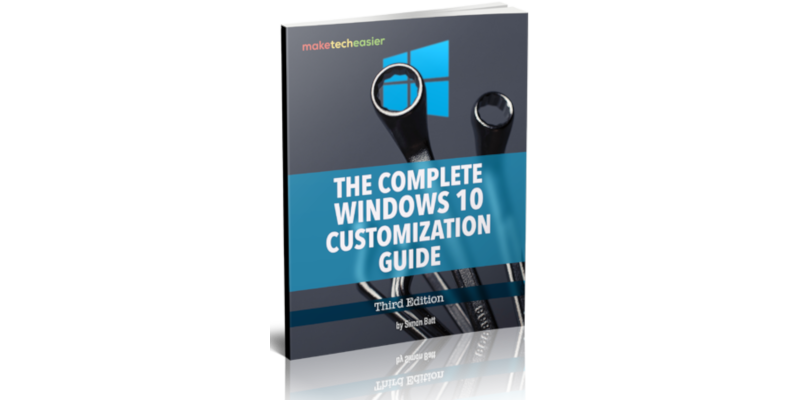 In The Complete Windows 10 Customization Guide ebook, we’ll be exploring the multitude of options at your disposal as well as how to access them. By the end of this ebook, you’ll know how to make Windows 10 your own and become a Windows 10 expert user.